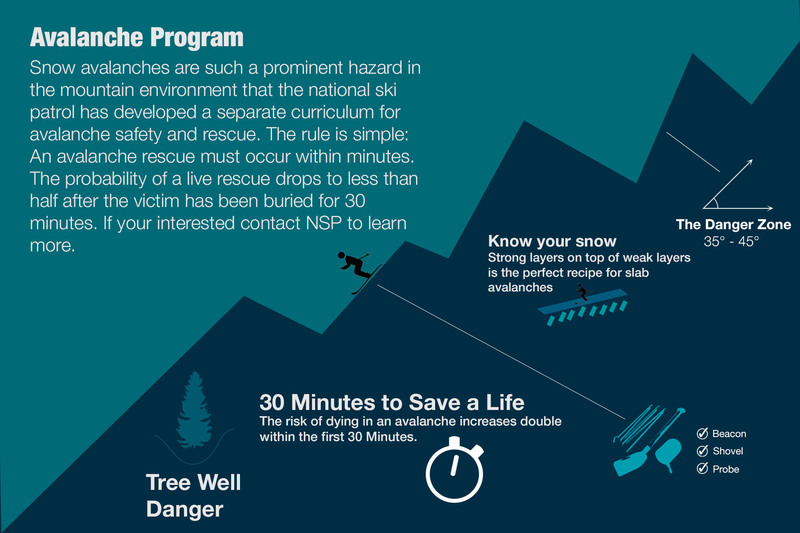 NSP has been providing avalanche education to ski patrollers and other search and rescue personnel since 1957, making it the oldest and most experienced avalanche education association for rescue professionals in the U.S. NSP offers avalanche education for general recreationists as well. All NSP avalanche courses meet or exceed curriculum recommendations established for each course by the American Avalanche Association. Course content is frequently updated to incorporate the latest avalanche research and skills. All avalanche education courses are taught by NSP-certified avalanche instructors who undergo rigorous training and evaluation of technical knowledge and teaching proficiency.